Mergers and acquisition are great methods for growing your business. Startups are using mergers and acquisitions for enhancing their strength and penetrating newer markets which avoids reasons of why startups fails. You should only undertake mergers and acquisitions if you are confident about the financial stability of your business and the market. It is best to perform them when the economic environment is favorable for business growth. Apart from helping you expand your business, mergers and acquisition can help increase profits and decrease operational costs. However, mergers and acquisition can pose some serious operational and strategic problems too. 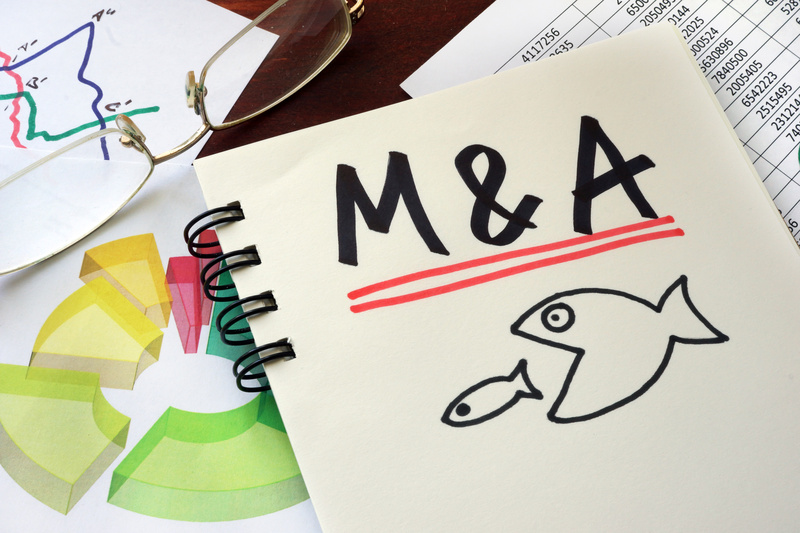 In this post, we discuss helpful tips to grow your business through mergers and acquisitions. Merger and acquisition is a critical decision. Before proceeding, you have to be certain about the financial stability of your business. Do you really have sufficient funds to carry out the merger and acquisition? To find the answer to this question, be realistic with your business financial data and facts. You may have to calculate the liquidity of your business, a necessary precursor for completing the merger and acquisition process anyways. Secondly, you might want to make sure that your capital structure is sturdy enough to handle the additional costs of a M&A deal, especially if you do not have the project management certification it takes to manage a big business transition like this without preparation. Finally, put together a funding strategy for a successful merger and acquisition venture. Once the financial information has been carefully considered, it is time to set some strategic goals. To create a merger and acquisition strategy, you will first have to determine the short and long term goals of your company. Why is the merger and acquisition necessary for the growth of the business? Whether it is enhancing market share, capturing the local markets of different regions, gaining control of new products, processes or intellectual properties, determining the primary reasons will give you direction to move ahead with a proper plan. Next, you are ready to choose who will lead the company change. Many companies choose representatives from different departments of your business such as marketing, finance, sales and operations to lead the change. Additionally, some companies find it helpful to have an experienced and knowledgeable change manager on the team. This way, you never have to worry about employee procrastination or your own procrastination, for that matter. The change manager helps develop strategies for successful adaptation of the changes initiated by mergers and acquisition. Finally, the team has to work closely to ensure that the projected cost reduction, privileges and results are achieved. The single most important element to a successful mergers and acquisitions process is communication. It is crucial to communicate the benefits of the merger to all stakeholders. This include those employees who are worried about their job and their future careers. When you communicate the benefits of mergers and acquisitions to all the involved parties, it will help establish buy-in among the whole group. This will make it much more likely that everyone does everything they can to make the process as smooth and painless as possible. That will help to ensure a successful merger and acquisition. Bear this tip in mind when you are figuring out how to prepare your business for a merger. Once the mergers and acquisition strategy is in place, waiting for the right time would be a mistake. The right time is whenever you spot an opportunity that aligns with your strategy financially, short term and long term. If you let time pass by, then someone else will probably close the deal. To get started, a target oriented search will help identify opportunities. Many companies will hire an investment banker who has the right resources and knowledge to secure merger and acquisition opportunities. Once you have a list of companies for potential acquisition, you must do a full analysis of the value of these companies for effective change management. Similar to how venture capitalists will determine the value of a start up company, you must determine the value of the existing business. You can include many factors like owned assets, historical earnings, industry benchmarks and discounted cash flows. Of course, revenues and sales are a major factor. However, operating costs can be a major detriment even if the company is generating millions in revenues. For a major financial and operational decision like mergers and acquisition, simple financial calculations are not enough. Due diligence should be done to evaluate if the target company is a perfect strategic fit or not. The main purpose of due diligence is to check if the return you are expecting can be obtained from the merger and acquisition. If you can convince the owners that the two companies are perfectly compatible strategically, financially and functionally, then it is time to make an irresistible offer on the company. Mergers and acquisition can be a very risky, but also rewarding venture. To be successful, your business must have a clear financial and strategic plan. Then, management must be willing to invest in finding the right opportunities to align with the business. Finally, the business can engage in potential target companies and perform due diligence practices for commencing the mergers and acquisition deal.